Hauser & Wirth Somerset is pleased to announce the opening of Make, a new gallery space at 13 High Street, Bruton, with Jacqueline Moore, formerly of the Moore Gallery at the helm. 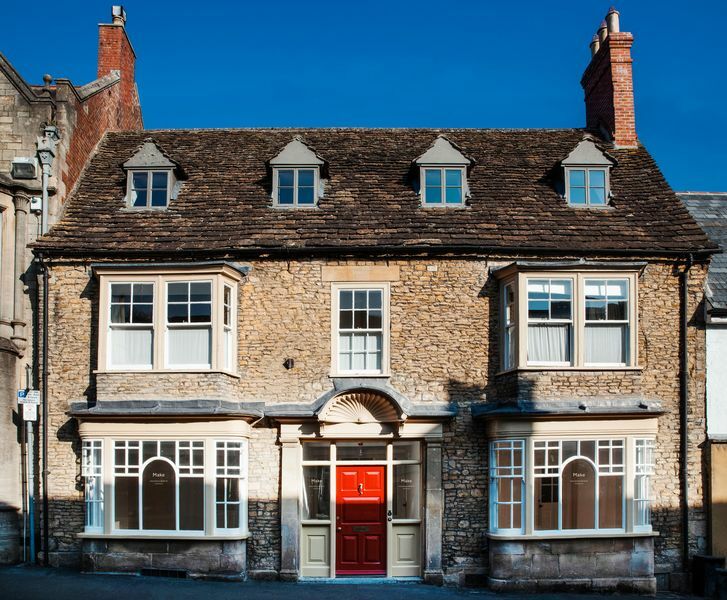 Occupying two rooms of this Georgian townhouse, formerly offices of Hauser & Wirth Somerset, Make will be a destination for contemporary making and the crafted object, from the best emerging and established makers both nationally and internationally. There will be an emphasis on work created specifically for Make, presented through an engaging programme of curated exhibitions, with all works available for purchase. The gallery will present approximately six exhibitions per year, some of which will include work created in response to Somerset and the South West, employing locally sourced materials. To coincide, participatory experiences will include talks, workshops and community-specific events. Alexander deVol is an artist maker whose work represents an ongoing investigation into the material properties of wood, as well as its transferal into other materials. 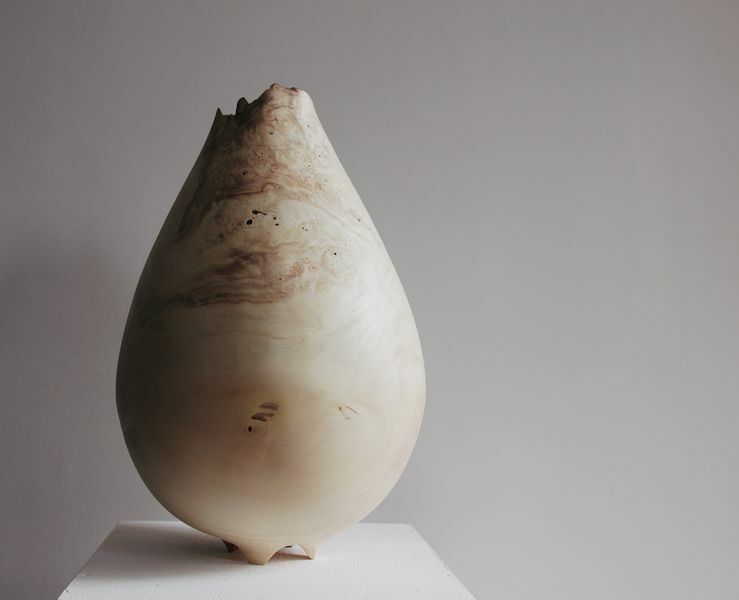 deVol’s tall footed vessels are turned and hand carved from a storm damaged chestnut tree burl. The vessel’s delicate 2mm walls allow the wood to warp and move naturally as it dries creating a unique asymmetry. These pieces are the result of a dialogue between maker and material, informed by the tree’s organic features and unpredictable response to climate. deVol’s practice is primarily focused on material and process rather than form or embellishment, his simple spheroid forms allow the material itself to be given prominence. 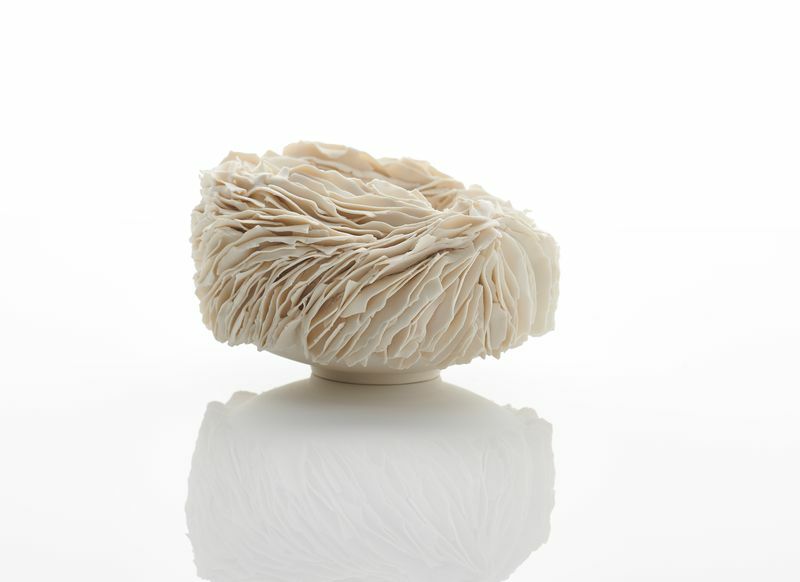 Olivia Walker works in porcelain to create pieces that explore ideas of growth and decay through the build-up of complex surfaces. All of her pieces are thrown on the wheel, before being built upon with thousands of individually-applied fragments. She starts from a set point on a bowl, and lets these organic accretions spread out – eating through, or expanding over the form beneath. These accretions speak of organisms – fungus, coral and bacteria – but are unidentifiable. This body of work includes new pieces inspired by nests and cocoons – places of growth and hidden interiors protected by intricate surfaces. Florian Gadsby has been making primarily functional ceramics for the past five years alongside individual one-off vessels and groups of pots. He uses a series of subtle glazes that have a complex, crystalline structure to complement the simple forms. 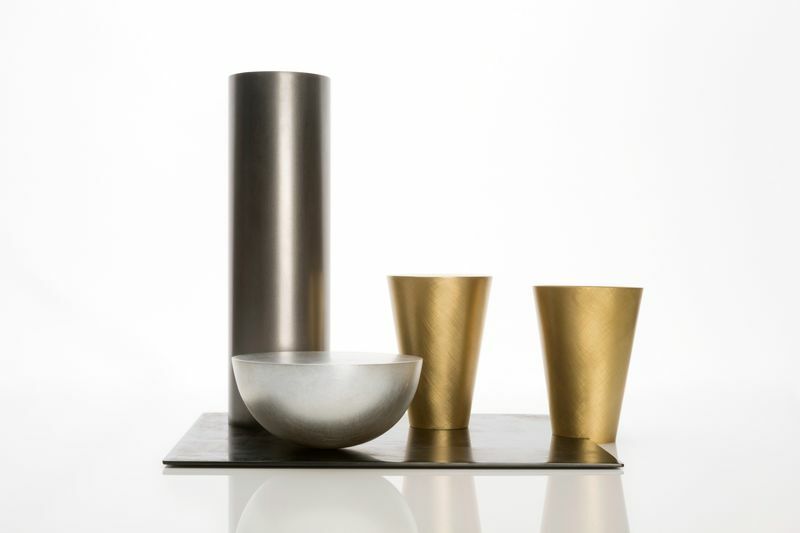 Having spent years focusing on production throwing and learning to work at speed, while apprenticing with both Lisa Hammond MBE for three years and Ken Matsuzaki in Mashiko, Japan, the pots in this exhibition have allowed him to explore a different approach. 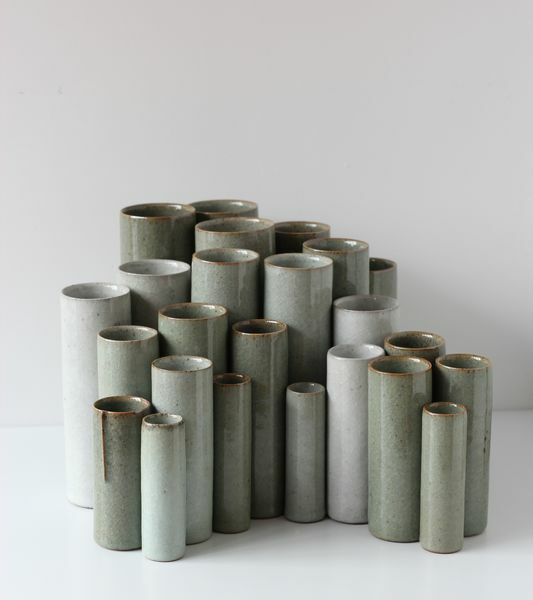 Collections of considered vases together with one-off vessels adorned with linear markings have forced him to work at a slower pace and develop a new voice. Hannah Robson constructs sculptural textile pieces using combinations of weaving and lace-making, exploring how threads can escape the traditional vertical and horizontal pathways imposed by the loom. She creates opportunities for threads of metal, paper and horsehair to break away from woven surfaces, taking alternative routes through space and joining together in three dimensions. Maria Sigma combines traditional weaving techniques with a contemporary approach, focusing on raw natural materials and texture. Inspired by her Greek heritage and by the colour palette of the British landscape, in combination with a love for maths and craftsmanship, she makes vibrant, but minimal, contemporary textiles that creatively interpret long-established traditional craft techniques and styles. Creating beautiful textiles through ‘zero waste’ design principles, she employs high-quality and sustainable natural fibres (British wool), all key to the philosophy of her work. Weaving is Sigma’s way of putting the everyday chaos in order and making something honest and beautiful out of it. Juliette Bigley is an artist-metalsmith working in base and precious metals. She uses the vessel-form as a canvas through which to explore how we relate to objects and how we use them to understand our place in the world. 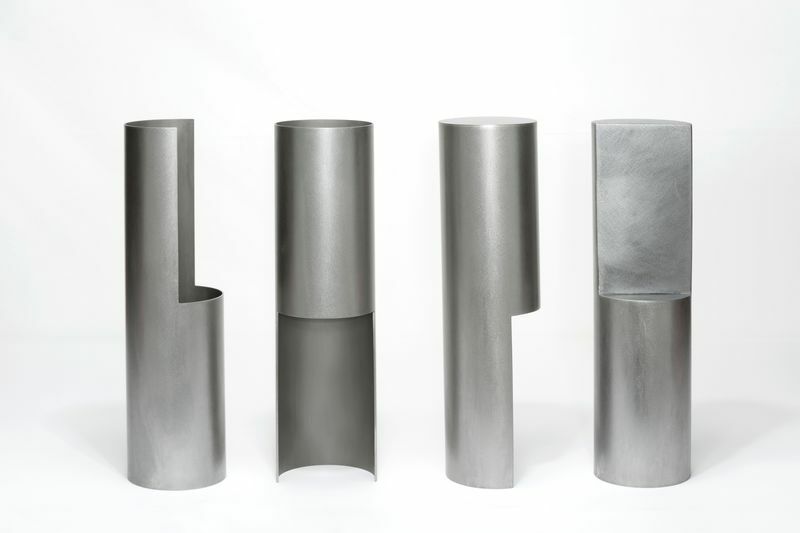 Her work draws on the traditions of silversmithing and still-life to create sculptures that are at once familiar and abstract, re-interpreting the recognisable forms of vessels – bowls, vases or containers – to create ambiguous spaces in which questions about how we relate to the physical world around us can be asked. Make Hauser & Wirth Somerset will be open from 10 am – 1 pm and 2 pm – 4pm from Wednesday to Saturday. ‘Opening Narratives’ runs from 28 September – 24 November 2018.